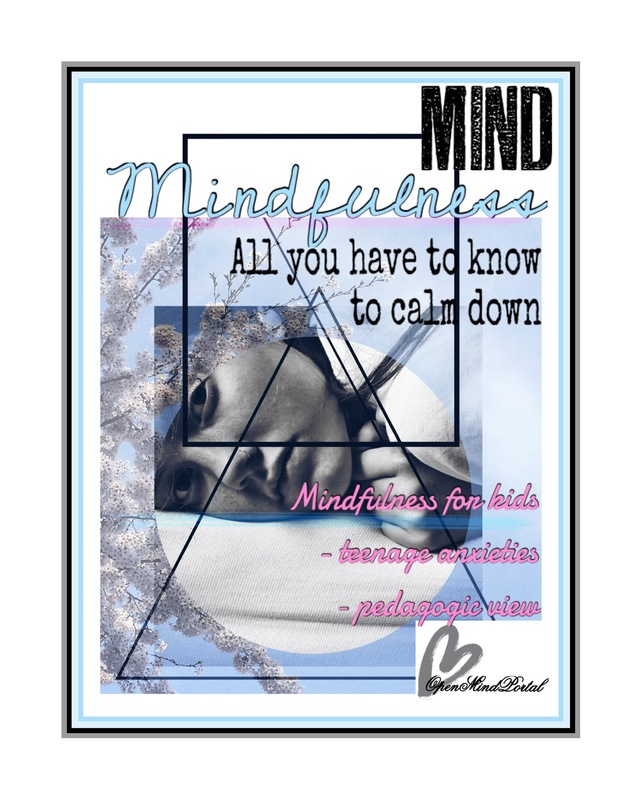 Mindfulness for kids. Simple explanation of complex philosophy. it is a mental state achieved by focusing one’s awareness on the present moment, while calmly acknowledging and accepting one’s feelings, thoughts, and bodily sensations, used as a therapeutic technique. For me, mindfulness is learning to live in the present moment and take things one thing at a time. It is a tool that helps myself and my students to deal with the anxieties that we deal with on a daily basis. It is a reminder to be grateful for the things that I have and the things that are going right in my life. For my reading students, it is a tool to help them calm themselves at the beginning of every class period and through our “Mindful Monday” practices, it helps them to train their brains to focus on tasks (something that has helped some of my most struggling readers). Many believe that mindfulness is meditation. What I have found through my reading and research is that mindfulness is like the marathon that you train for and meditation is the training that you do for that marathon. Through meditations, you are able to train your brain to be aware of when you are “off task” and tune back into the moment that you are in. Being in tune with the present helps us to be more productive, helps us to enjoy the things that we do more, and helps us to deal with our stresses by not worrying about the past or the future. my anxiety at age 40 was nothing in comparison to what some of these 11 and 12-year-old boys and girls are dealing. I could not believe how anxious they were and how so many of them were desperate to find some tool to help them. It made me really start to think about what may happen to some of them if they did not learn to handle the stresses that they are feeling at this point in their life. As a teacher and a mom, I worry about what kids are doing to relieve stress. We hear all of the time about drug abuse, bullying, and suicide. It all scares me to death. While it seems that every generation has their new and different things that stress them out, it seems to me like a tool like mindfulness is exactly what all generations could use to help them to relieve anxiety and live a happier life. With the age of less and less recess in schools and technology distracting us from everything, I truly believe that mindfulness is a tool that everyone needs to learn, especially our children. It used to be a badge of honor to be able to say you could multi-task like no one else (Read also How to cope with information overload). However, there is more and more research to say that our brains are not meant to multi-task. The part of our brain that was meant to activate for fight or flight for a short amount of time is now activating for longer and longer periods of time with no rest. None of this is good! Read also How to declutter your mind. I started by explaining to the students how their brains work. I gave them some of the facts from brain research. I also polled them through their journals to find out if they categorized themselves as “stressed” or “anxious”. It amazed me to read the results. So many the students who seem to have things together day in and day out confessed to being ridden with stress and anxiety for various reasons. ..Recently, I asked my students to write about the times that they have used the mindful minute outside of class. Many wrote about doing it on their own before a big hockey game or dance recital. Others have said that they actually focus on their breathing to help them fall asleep at night. Still others told me about how they try to do it as soon as they feel anxious about something. I cannot tell you how happy that made me to hear that they were actually applying this skill outside of the classroom. After all, that is what it is all about! Next Lead a Mindful Life Today. Quick tips.